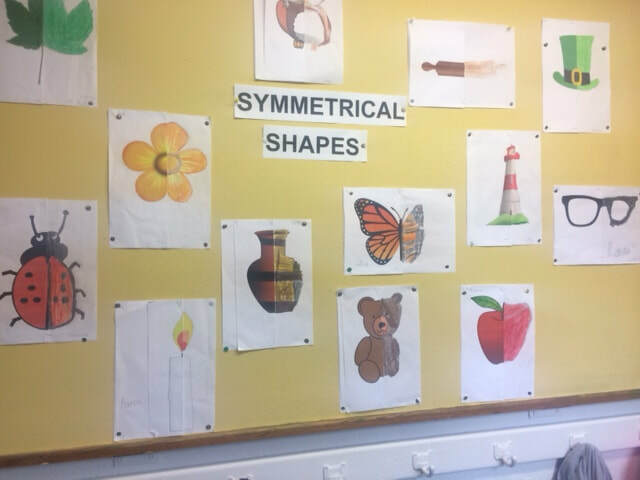 We have been learning all about symmetry. We integrated it into our art lesson. We are scientists! We have learned a lot about worms and also density. 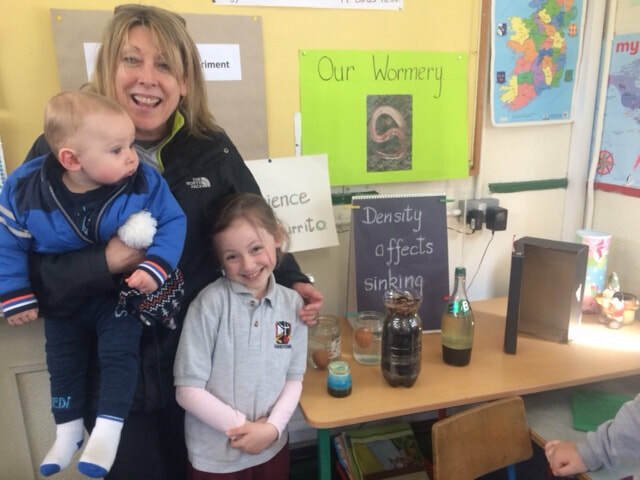 We really enjoyed showing off at the recent Science Fair. It was great to welcome parents and grandparents in. Check out more photos here. 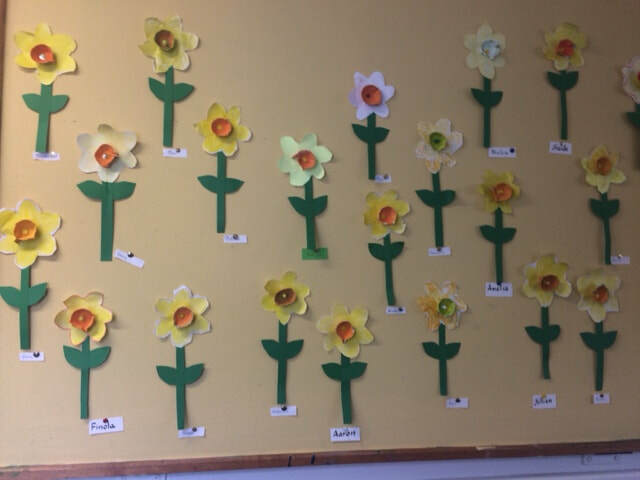 Don't you just love our pretty daffodils? We had great fun planting seed potatoes in the vegetable beds today - March 22nd, 2018. We chose Maurice Piper Earlies. Hopefully they will grow into wonderful, healthy plants and we can harvest them in June. The children enjoyed dressing up in Green, White or Orange in preparation for St. Patrick's Day. 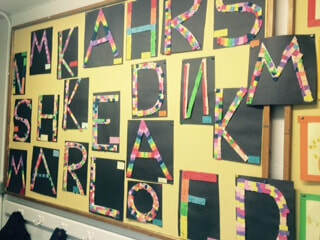 They also enjoyed spending time in the library celebrating the wonderful world of books. They have been trying to use as much Gaeilge as possible. What fantastic fun we had learning to code with "Botley" the coding robot. Unfortunately our trip to Engineers Ireland has been cancelled due to the bad weather but it will be re-scheduled for April so we can look forward to lots more engineering fun then. The children made wonderful St. Brigid's Crosses from card. First and Second class made wonderful bird houses from recycled milk cartons. Don't they look wonderful? 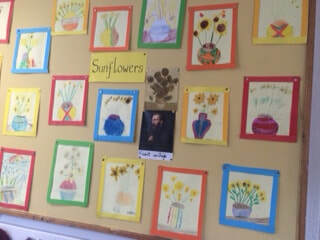 The children enjoyed learning about Vincent Van Gogh and they have produced beautiful sunflowers. 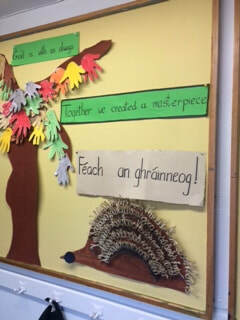 It's Autumn in Edmondstown and the children in first and second class have made a terrific hedgehog and a beautiful autumn tree. Doesn't it look wonderful?